Brussels – The need for a comprehensive approach, a continuum of care in resettlement, and complementary protection pathways to Europe for refugees and migrants in vulnerable situations was the focus of the IOM Member State Forum – the first of its kind held by the UN Migration Agency – and co-hosted with the Government of Belgium in Brussels this week (12-14/11). “The availability of humane solutions to forced displacement pales in comparison to the scale and scope of this phenomenon, with 68.5 million forcibly displaced persons across the globe,” said IOM Director General António Vitorino, in his opening message to the three-day event on Monday. Director General Vitorino stressed that the continued success and enlargement of these schemes rely on strong partnerships with all stakeholders. The Forum serves as a catalyst for this, he said. 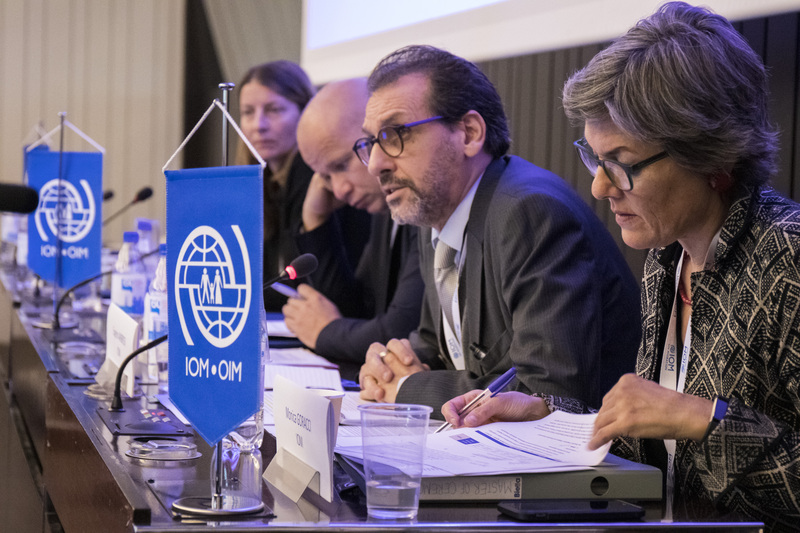 IOM noted that countries such as Canada, the EU and Associated States, Argentina and Chile have significantly expanded resettlement and humanitarian admission programmes in recent years and are exploring other protection pathways for refugees and migrants in vulnerable situations. Complementary protection pathways such as family reunification and humanitarian visas, in addition to resettlement, also provide tailored responses in support of safe, orderly and regular migration. The first day focused on the need for coordinated approaches in often complex environments, and the essential components of successful resettlement programmes, namely the interdependencies of case management, pre-departure health assessments, pre-departure orientation, movement management and post-arrival integration support, along with immigration and visa solutions. 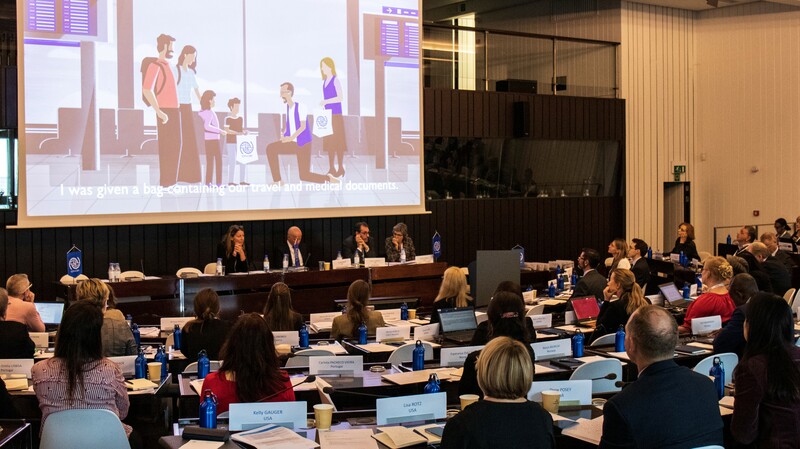 Representatives of 25 European countries alongside their peers from Australia, Asia, North- and South America attended the Forum together with partners and officials from European institutions. 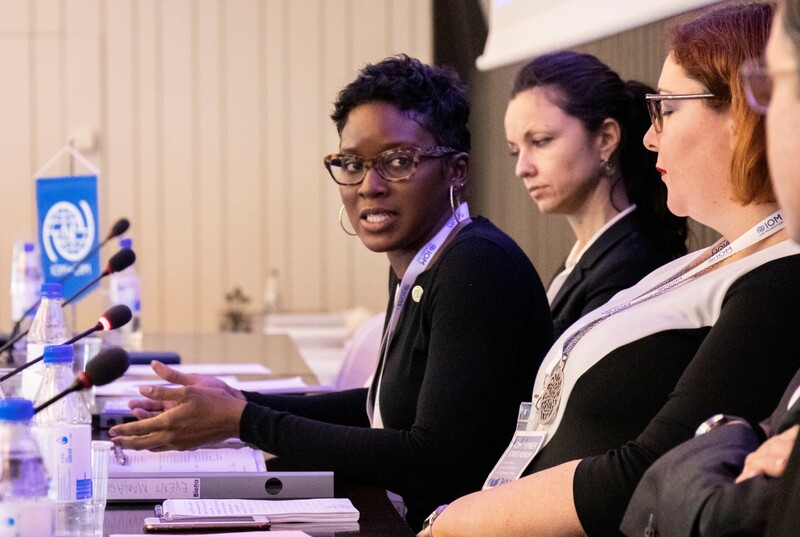 They learned about migrant-centric family reunification support as well as humanitarian and other visa processing operations through a series of presentations and panel discussions. Operational solutions, they affirmed, must emphasize rights and needs, whether by protecting migrants from smugglers, unscrupulous visa brokers, excessive fees, or other factors that may cause them to seek unsafe and irregular migration channels. 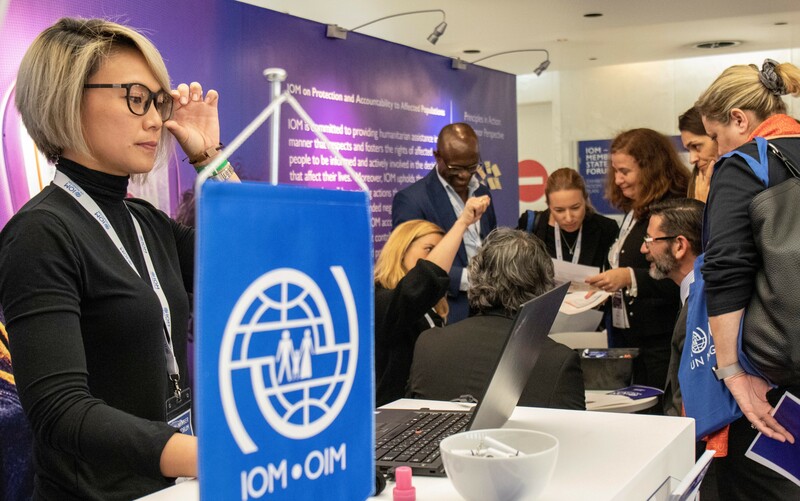 An exhibition showcased the close cooperation with partners and the comprehensive set of activities in support of safe and dignified migration that IOM has developed over the years in collaboration with its Member States. The highly interactive exhibition included IOM's Holding On campaign, a virtual reality experience that places the viewer inside the makeshift homes and campsites of internally displaced persons as they reflect on their most cherished possessions. The second and third days covered the area of health, reviewing the evidence and cost effectiveness of pre-departure health assessments (PDHA) through plenary sessions, thematic workshops and group discussions that enabled participants to exchange experiences and share evidence. Participants roundly assessed that PDHA is an important tool that can improve integration efforts in receiving communities, supported by the secure transfer of health information. IOM’s protection-oriented approach and duty to ensure a continuum of care to its beneficiaries, leading to sustainable integration, is centered around working with governments and partners to tailor programmes to specific contexts whilst ensuring adherence to principles and standards of assistance for refugees and migrants. This short animated video showcases the resettlement process, from selection to reception, for one refugee family. It highlights the plight of refugees and IOM’s role in essential aspects of resettlement, from health and integration, to ensuring safe and dignified movements.